Spagmoss is a very versatile product. As you know, it is a favorite for orchid growers and reptile enthusiasts, but did you know that it is also a great potting media for carnivorous plants? It’s true! New Zealand Sphagnum Moss is the perfect potting media for carnivorous plants! They are actually “predatory” flowering plants, preying on insects (amongst other things) to obtain nutrition! As I said – very unique. While carnivorous plants are different from most other flowers, they do share something in common: they need to be planted in the right potting media to promote growth and health. In nature, carnivorous plants are almost entirely restricted to habitats such as bogs – often rich in mosses – and in a majority of cases sphagnum moss. 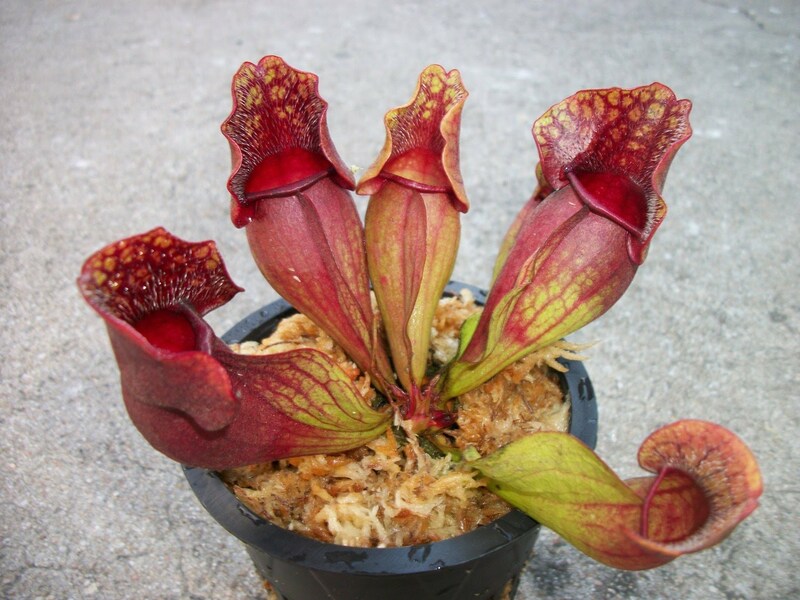 With a natural desire for a moisture rich environment, carnivorous plants grown in the home can become dried out if not cared for properly and grown in the proper environment. One of the challenges growers face is how they will provide their plants with an adequate supply of water. Some put their pots in separate containers that are filled with water to ensure ready availability. Fortunately, there is a better option for keeping carnivorous plants hydrated so they continue to flourish, with less work! Spagmoss’ ability to hold 20 times its weight in water makes it an excellent substrate, helping to mimic the plant’s natural environment. Not only will it keep your plant hydrated, but because it is aesthetically pleasing, it will keep the plant looking pretty in the container too! New Zealand Spagmoss is an economical choice because it can maintain its structure for years, outlasting the life span of other types of moss by a significant margin. This reduces your need for repeated repotting which will also reduce stress on your plant. When transplanting into Spagmoss, the moss should be rehydrated first. Simply soak the Spagmoss in water (use warm water for best results). The moss will increase in size once it has absorbed the water. Gently squeeze the moss to remove excess water and then re-pot your carnivorous plant. Find out where you can purchase Spagmoss near you!